Does it seem like “a lot” of aircraft of a particular type are for sale? It depends on the size of the fleet to begin with. In a previous blog post, I went through various aircraft markets and compared snapshots of those markets 3 years ago to snapshots of those same markets today. In all cases, aircraft markets (and associated aircraft values) have fallen dramatically, in some cases 50 to 60%. What I would like to do now is take a look at the markets today from a slightly different perspective – “Percentage of aircraft fleet for sale”. Everybody is seemingly in tune with how many aircraft are available for sale in a given market. For example, if I go to my database and research reports of aircraft, and extract all Citation Excels available for sale, I see a total of 26 aircraft available for sale. To diverge from my topic for a moment, the database and research that DJI uses is much more robust than any retail website that aircraft buyers might be familiar with. If I go to the industry’s most popular retail website for aircraft listings, there are 13 Citation Excel listed for sale. So, by tapping into a broker’s resources and databases, a prospective buyer would have access to 100% more airplanes in this particular market! Like in any market in any type of product, there is a small portion of the 26 Excels that isn’t truly for sale, but you get my point. So, 26 Excels sounds like a lot of airplanes for sale and a lot to choose from. It would suggest that it is a “Buyer’s Market”. So, now you know how many Excels are available for sale, but do you know how many have been produced and are in operation today? Amazingly, there are 369 Citation Excels in operation today. This large number is due to a relatively long and stable production run of the aircraft, in addition to widespread marketplace acceptance of the Excel. This paints a much more telling picture of the state of the Citation Excel market. Yes, 26 airplanes is a sizable number of aircraft. However, you must process that number in the context of the entire fleet, which consists of 369. Percentage-wise, only 7% of all Citation Excels in operation are available for sale. This is not that many. This comes back to the supply and demand basics that we all know. While 26 airplanes is a notable supply number in absolute terms, it is not that sizable in the relative perspective. Compare this market to the Hawker 800XP market. 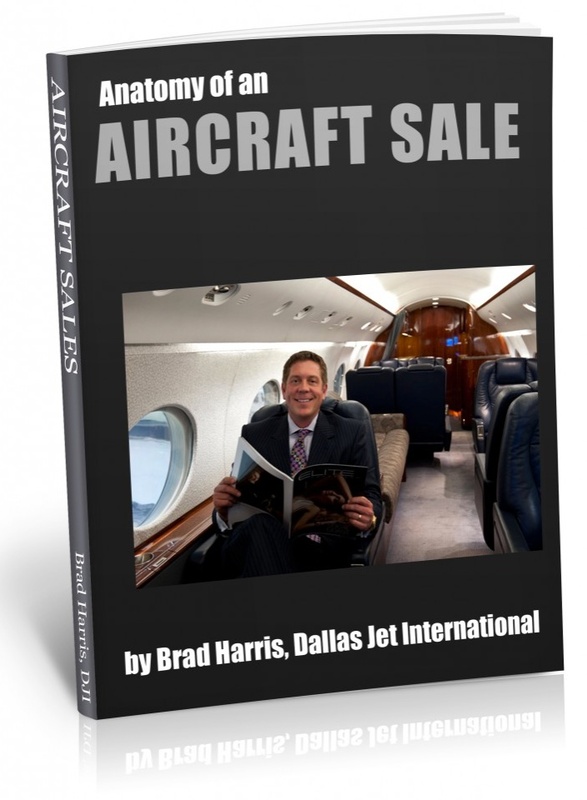 There are 52 Hawker 800XP aircraft for sale, in the context of 423 in operation. This equates to 12.3% of the fleet for sale. As any Hawker 800XP seller knows, the market has a high relative supply, and thus prices have not found a way to completely stabilize. In order for prices to truly stabilize, supply/inventory must be sold to effect a lower supply percentage, or demand must increase on the available supply. Everybody has heard that the 10 years and younger, large-cabin market has shown signs of increasing momentum this year. DJI conducts a lot of business in this realm. The percentage of Fleet for Sale for Gulfstream V aircraft? 5.7%. Data does not lie. Below is a summary of fleet percentages available for sale. As you go through this list, try and correlate your perception of that particular market’s momentum with the percentages. You will notice a strong correlation. While certainly not the only indicator we use to quantify a particular aircraft market, it is a great indicator that all aircraft sellers and buyers should be aware of. These numbers change monthly, if not weekly. Please feel free to contact me to further discuss these types of valuable data sets. It is my ultimate goal to help sellers and buyers have the intelligence to make smart decisions in the transacting of their high-value aircraft.